Heat the butter in a large pan over medium heat. Add mushrooms and onions, stirring well to coat with the butter. 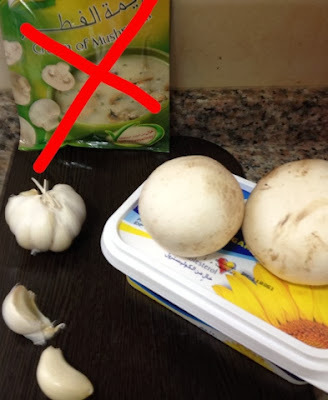 Cook until the mushrooms have wilted and most of the liquid evaporates. Add the garlic and cook two minutes more. Blend the flour, salt pepper and nutmeg. Cook for about one minute. Whisk in the chicken stock. Simmer until slightly thickened, stirring frequently. If your stock is unsalted, you may have to add a bit more salt at the end. Let your taste buds decide! Add the cream and bring just to a simmer. Remove 1 1/2 cups of the soup and puree it. Pour back into the pan, stir to incorporate. Turn off heat, adjust seasonings if necessary, and enjoy! You can make this on the grill, in a skillet, or in the oven. Preheat the oven. Stir together the butter, oil and garlic in a small bowl. Using a serrated knife cut the bread into 1-inch-thick slices without cutting all the way through to the bottom, leave the slices attached to each other. Gently pull apart the slices and use a pastry brush to butter them with the garlic mixture. Wrap the loaf in foil and bake in the center of the oven for 15 minutes. After 15 minutes open up the foil and bake 5 minutes more. 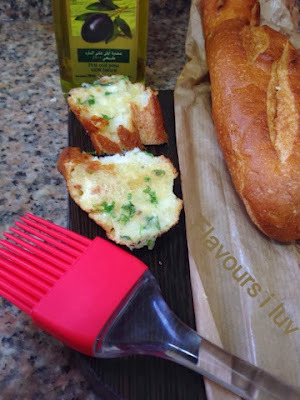 Brush both sides of bread with garlic butter and place on a grill or into a hot skillet. When the bread is browned a bit, flip it over and wait tll brown. You can add shredded Parmesan,mozzarella cheeses and parsley to any version of this. My fav garlic bread with absolutely delicious mushroom room. Wonderful combo. 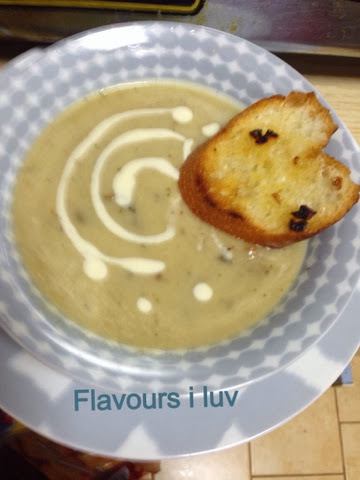 Delicious garlic bread and soup. Oh that garlic bread and yummmmy mushroom soup is calling me Shammi! 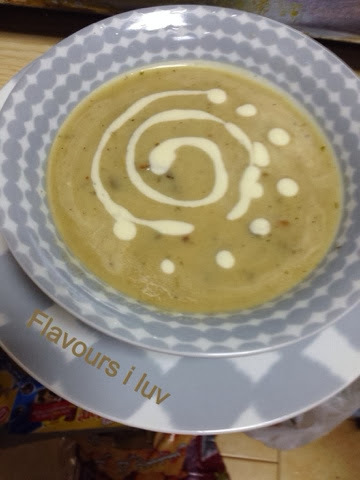 This creamy and delicious soup, paired with garlic bread will be perfect for the rainy weather we are experiencing over here. 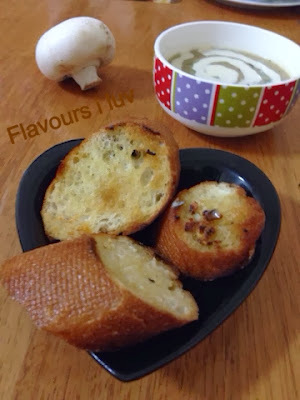 Creamy and yummy soup and garlic bread, love this combo..